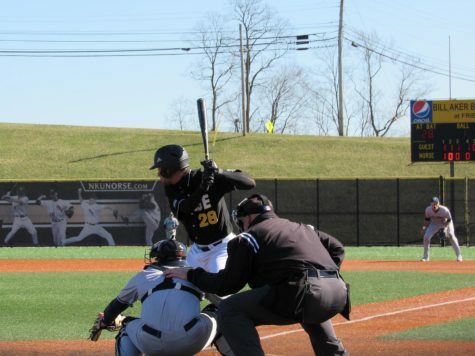 The NKU baseball team fell to the Cincinnati Bearcats on Saturday afternoon, dropping the weekend series with UC two games to three. Game three was originally suppose to be played on Sunday, but the weather forecast for Sunday afternoon forced a double header Saturday. The Norse fall to 8-13 on the season while the Bearcats improve to 12-11 on the season. 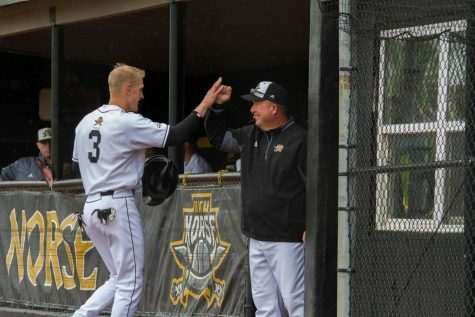 The Norse scored there only run in the first inning, when Will Haueter doubled in Jake Richmond to give the Norse the lead in the top of the first. It was all UC from that point on. 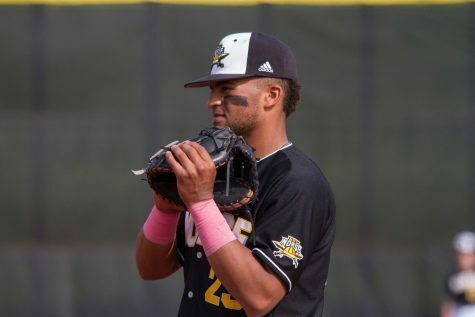 The Bearcats would rough up Norse starting pitcher Trey Ganns, who pitched 5.0 innings and gave up seven hits and eight runs, six of which were earned runs. The Bearcats scored four runs in the bottom of the second, starting with a homerun from Ryan Noda. That was followed by a three run triple from AJ Bumpass to extend the lead to 5-1. The Norse managed just six hits on the day against four UC pitchers. 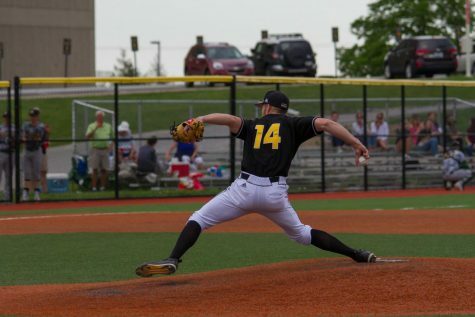 Andrew Zellner took the win for the Bearcats, throwing 4.0 innings of three hit, one run baseball. Pat Kelley made his best start of the season, throwing 7.0 innings of one run four hit baseball. Kelley collected six strikeouts on his way to his first win of the season. 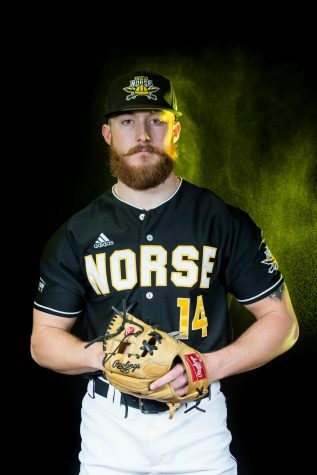 Cameron Ross pitched 1.2 innings and got the save for the Norse. 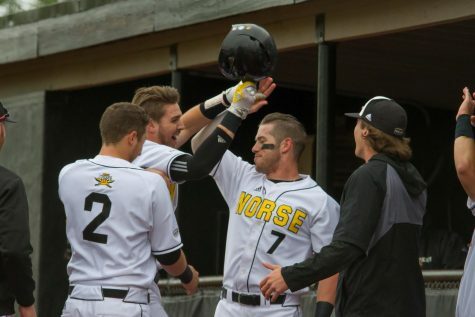 The Norse started scoring in the top of the first, when TJ Alas doubled to score Richmond who walked to lead off the game. A few batters later, Haueter scored on a Dominic Mercurio ground out to make the score 2-0. Kelley gave up his only run in the bottom of the inning, allowing two hits. 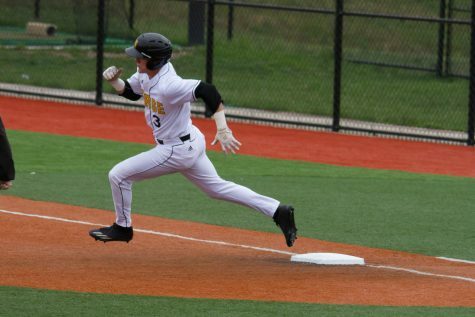 In the top of the fourth, Kyle Colletta singled to score TJ Alas to score the third and final run for the Norse. Pitching carried the Norse the rest of the way. 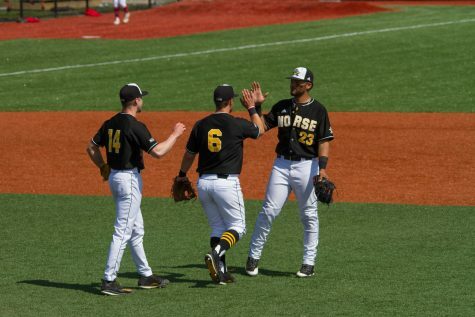 Seth Rosenberg allowed two runners in the eighth inning and allowed a run to cut the Norse lead to 3-2, but Ross shut the door for good in the ninth inning. Trey Ganns crushed a home run in the top of the first inning that landed on top of Fifth Third Arena, the second time that happened in Marge Schott Stadium history. 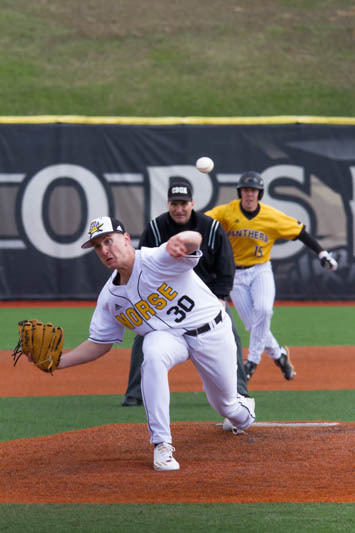 Norse starting pitcher Charlie Jerger was rolling along until the fourth inning, giving up one run prior to the start of the inning. Jerger then gave up six runs in the fourth inning to give UC a 7-1 lead. Travis Rowland and Joe Martin combined to give up six more runs in the final 4.1 innings to give the Bearcats 13 runs. 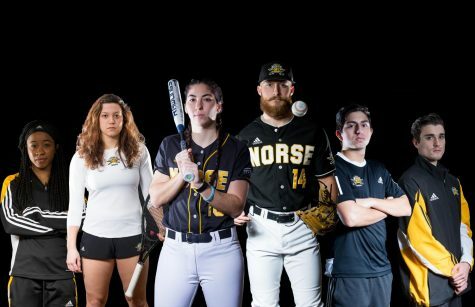 After being down 13-2 in the seventh inning, the Norse scored five runs in the final two frames to get the game to 13-7, but their comeback attempt fell short. Ganns went 1-2 and Dominic Mercurio went 2-5 with a run scored. Shane Paradis went 2-2 with four RBI and a homerun.